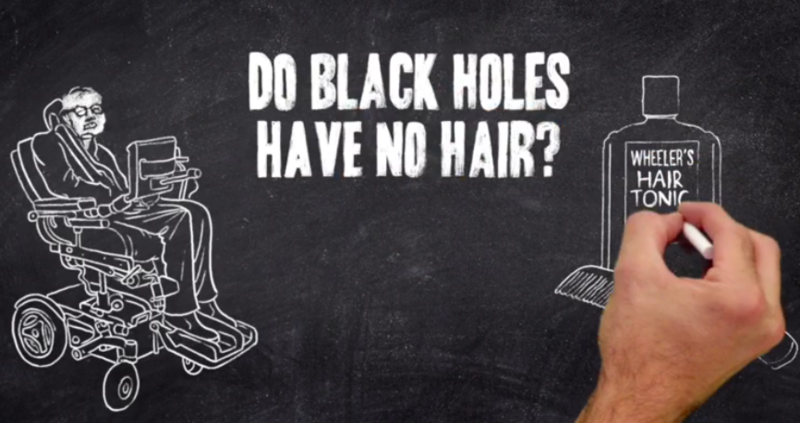 You can now hear in full on the BBC’s website the first part of Stephen Hawking’s 2016 Reith Lecture—‘Do Black Holes Have No Hair?’ Just above, listen to Hawking’s lecture while you follow along with an animated chalkboard on which artist Andrew Park sketches out the key points in helpful images and diagrams. 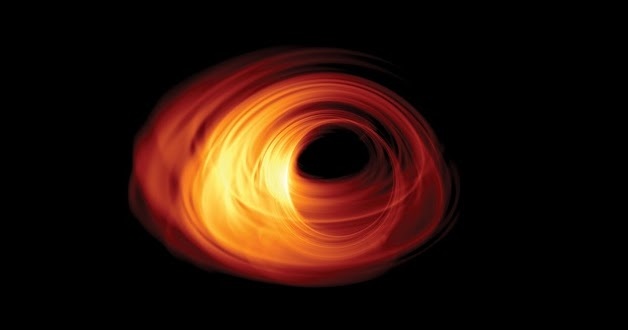 We alerted you to the coming lecture this past Tuesday, and we also pointed you toward the paper Hawking recently posted online, ‘Soft Hair on Black Holes,’ co-authored with Malcolm J. 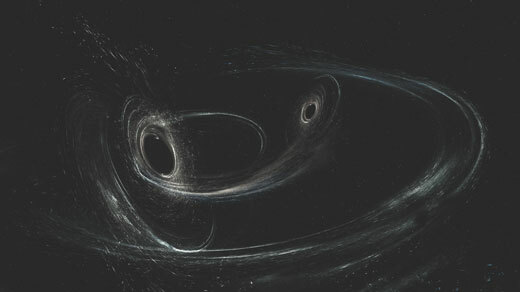 The Advanced Laser Interferometer Gravitational-Wave Observatoryâs third detection further compounds the mystery of why black holes collide. A team of scientists at the Tata Institute of Fundamental Research (TIFR), Mumbai, India, have found new ways to detect a bare or naked singularity, the most extreme object in the universe.When the fuel of a very massive star is spent, it collapses due to its own gravitational pull and eventually becomes a very small region of arbitrarily high matter density, that is a ‘Singularity’, where the usual laws of physics may breakdown. If this singularity is hidden within an event horizon, which is an invisible closed surface from which nothing, not even light, can escape, then we call this object a black hole. In such a case, we cannot see the singularity and we do not need to bother about its effects. 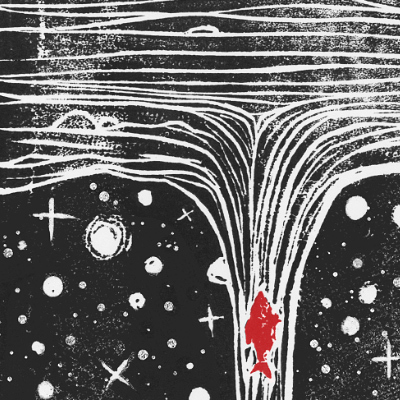 But what if the event horizon does not form? In fact, Einstein’s theory of general relativity does predict such a possibility when massive stars collapse at the end of their life-cycles. 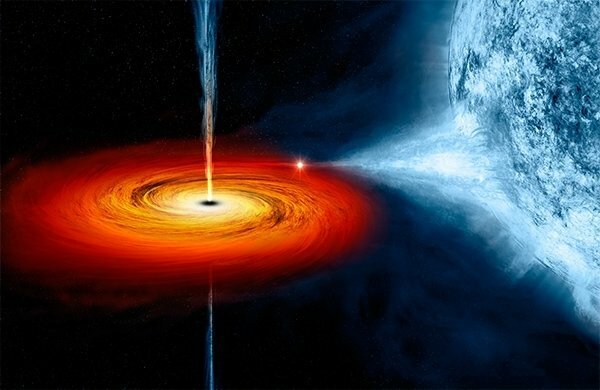 In this case, we are left with the tantalizing option of observing a naked singularity.$$!ad_code_content_spilt_video_ad!$$An important question then is, how to observationally distinguish a naked singularity from a black hole. Einstein’s theory predicts an interesting effect: the fabric of spacetime in the vicinity of any rotating object gets ‘twisted’ due to this rotation. 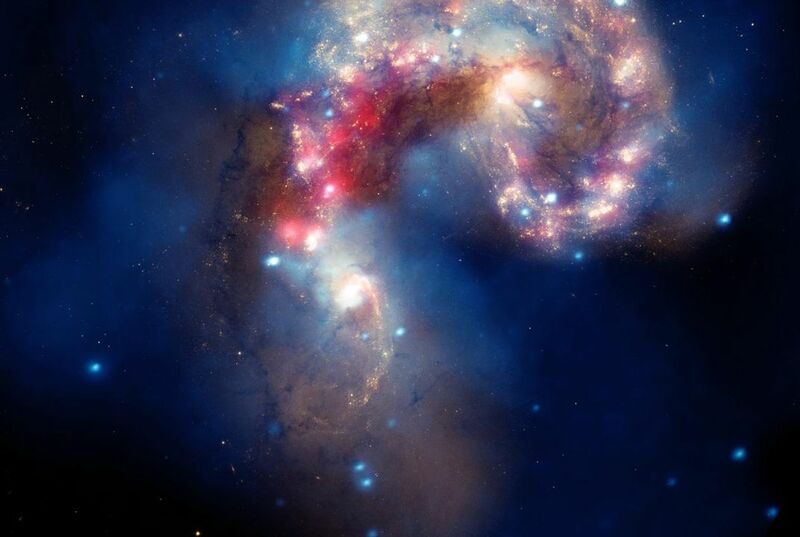 This effect causes a gyroscope spin and makes orbits of particles around these astrophysical objects precess. 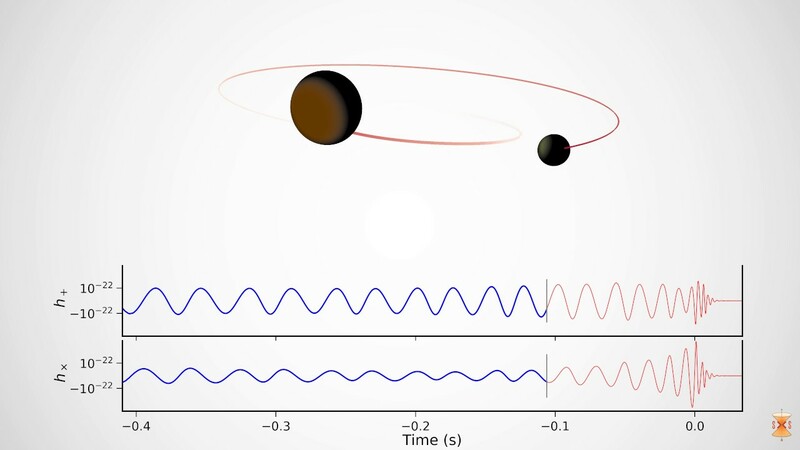 The TIFR team has recently argued that the rate at which a gyroscope precesses (the precession frequency), when placed around a rotating black hole or a naked singularity, could be used to identify this rotating object. Here is a simple way to describe their results. If an astronaut records a gyroscope’s precession frequency at two fixed points close to the rotating object, then two possibilities can be seen: (1) the precession frequency of the gyroscope changes by an arbitrarily large amount, that is, there is a wild change in the behaviour of the gyroscope; and (2) the precession frequency changes by a small amount, in a regular well-behaved manner. 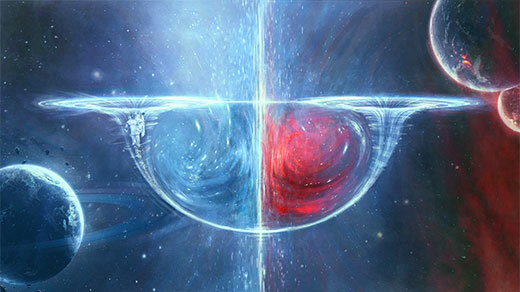 For the case (1), the rotating object is a black hole, while for the case (2), it is a naked singularity. Three supermassive black holes residing where two distant galaxies collide offer new clues about where to look for gravitational waves. 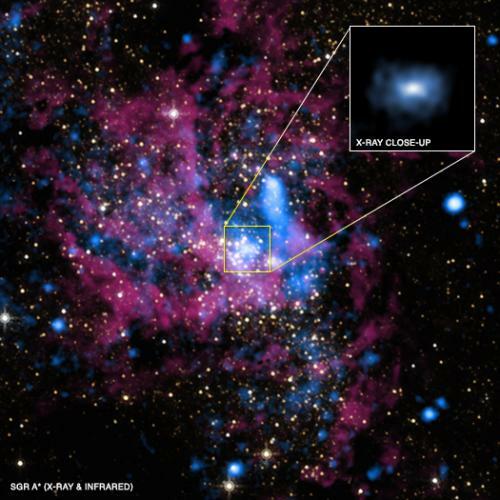 Researchers have just discovered a new trio of supermassive black holes in a galaxy 4.2 billion light-years from Earth.